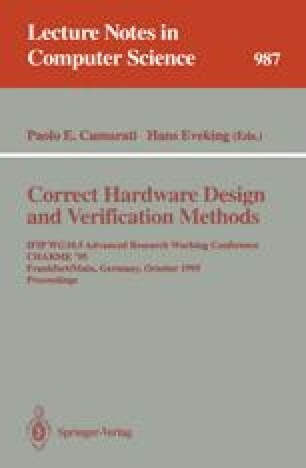 There are many methodologies whose main concern is reducing the complexity of a verification problem to be ultimately able to apply model checking. Here we propose to use a model-checking like procedure which operates on a small, truly symbolic description of the model. We do so by exploiting systematically the separation between the (small) control part and the (large) data part of systems which often occurs in practice. By expanding the control part, we get an intermediate description of the system which already allows our symbolic model checking procedure to produce meaningful results but which is still small enough to allow model checking to be performed. This research has been funded in part by the MWK under No. 210.3-70631-99-14/93. The views and conclusions contained in this document are those of the authors.